* Family fees such as annual summer registration fees and annual technology fees are not included. Saint Agnes utilizes FACTS for processing and collecting school tuition, fees, After School Care, and Summer Care. 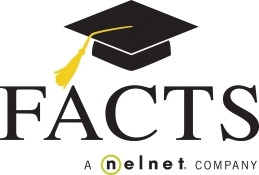 All families must create a FACTS account for the remittance of tuition and fees. Please click the following logo to create your tuition account. Are you seeking a quality Catholic education for your child(ren)? Tuition Assistance is available for families who qualify. A single form, the FACTS management application, is used for all forms of Catholic elementary school tuition assistance. Some of this assistance is provided in the form of grants, discounts, and scholarships provided by the Archdiocese of Louisville, the Catholic Education Foundation, School Choice Scholarships, private sources including the Sisters of Charity of Nazareth, and assistance from our local parish fund, The Gratitude Fund. After successfully completing and filing the FACTS application and supporting documents by the published deadline(s), families are then notified of assistance awards in May.